Members of the small but vocal ‘Communists of Russia’ party have threatened the Lenfilm studio with protests and pickets if the movie-makers invite Hollywood actor Leonardo DiCaprio to play Vladimir Lenin. “We have sent a letter to Lenfilm and told them that such move would provoke protest actions. We would launch the civil disobedience actions near Lenfilm entrance, we simply would not let them enter it,” one of the party leaders, Sergey Malinkovich, told RIA Novosti. “They should find a Russian actor,” he added. The comment came a few days after Russian mass media quoted the spokesman for Lenfilm studio, Valery Karpov, as saying that Leonardo DiCaprio had expressed the intent to play the role of Vladimir Putin, Grigory Rasputin or Vladimir Lenin. 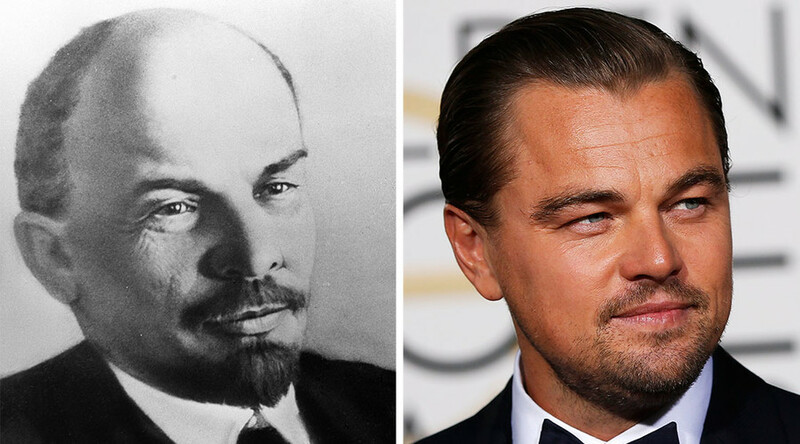 “DiCaprio is frequently compared to how Lenin looked in his youth. We have enough props to recreate the time of the [Bolshevik] revolution,” he said. Russian film director, screenwriter and producer Vladimir Bortko has expressed readiness to direct a film with DiCaprio playing Lenin. "DiCaprio is a good artist. He can play whatever he wants to play. I would have him with pleasure if he invited me as a director," Bortko said. The Communists of Russia is a very small party known neither for any significant legislative initiatives nor for public support. Instead, it has chosen to establish a consistent presence in the mass media through various bizarre suggestions and quick reactions to the latest fads. Publicity stunts included the proposal to ban handheld monopods, aka ‘selfie sticks’, at street celebrations on Victory Day, the initiative to bar US athletes from participating in the 2014 Sochi Olympics and a plea to the Central Bank to restrict sales of foreign currency to citizens. In mid-2015, Communists of Russia leaders announced their intention to make a crowd-funded TV series about the 1917 Bolshevik Revolution, in which they themselves would play famous figures and invite Russian stars to portray the main characters. The project’s release is slated for early 2018.